Nature and the spirit are the impetus for Washington’s new body of work. Not nature as scene or sublime scape, but nature in its fundamental form as matter, and the spirit as the force which creates it. In this exhibition entitled, Od Matter (Od is a deity that pervades all nature and manifest itself in magnetism, chemical action and mesmerism), Washington employs non-representational abstraction in an effort to understand order, chaos, creation and human connection. The work is made by making inked impressions of collage paintings. The paintings are created using detritus, tape, paper and studio cast offs. Washington blackens the combined elements and charges them with a new sense of life as a collagraph. In an alchemic act, the paintings' patterns and structures are transformed into a new topographical language on the papers' surface. Washington then seamlessly draws and collages additional elements. For Washington, this process of construction, deconstruction and reconstruction reflects the many proposals and possibilities found in nature. 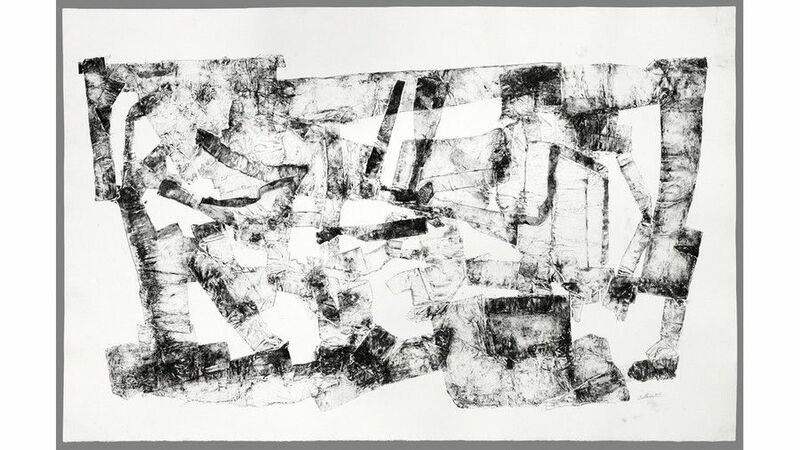 Od Matter features seven collagraph works which explore the seen and the unseen, the individual and the indivisible. In a world of data-dentites and troubling socio-political times, Washington's works act as metaphors for broader realities and underlying universal connections where differences of race, creed and gender are displaced in favor of unity and a singular pluralism.